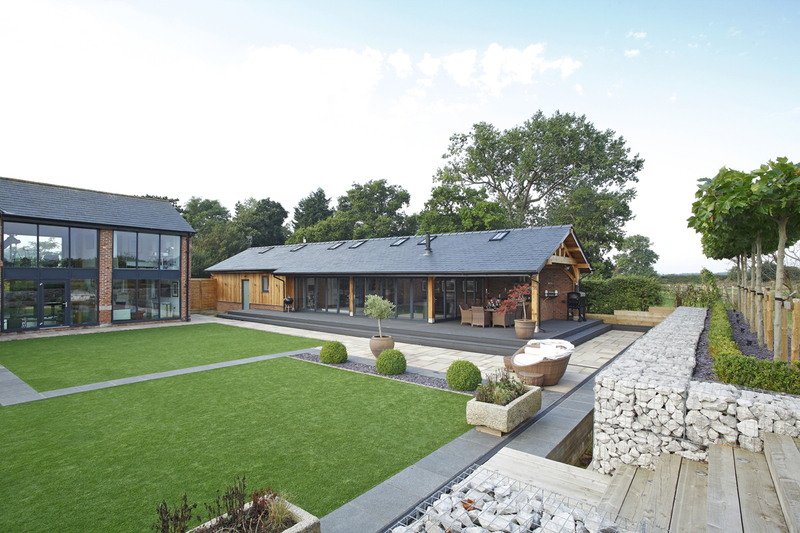 Having designed an installed a floating staircase at this property, the client then commissioned us to design and build a detached leisure building that complemented the main house and allowed them the potential for year-round entertaining. 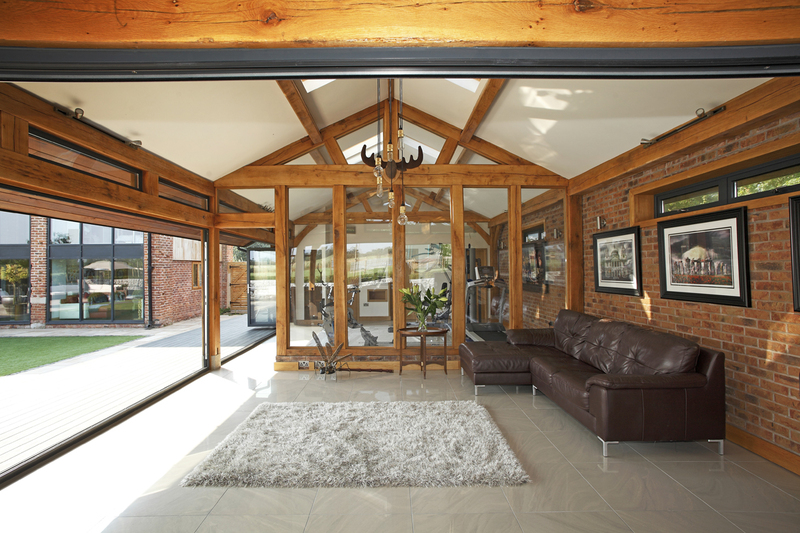 The brief was to provide a large garage area, fitness room and lounge/reading room. Extensive glazing was to be used to allow views of the garden and fields beyond. 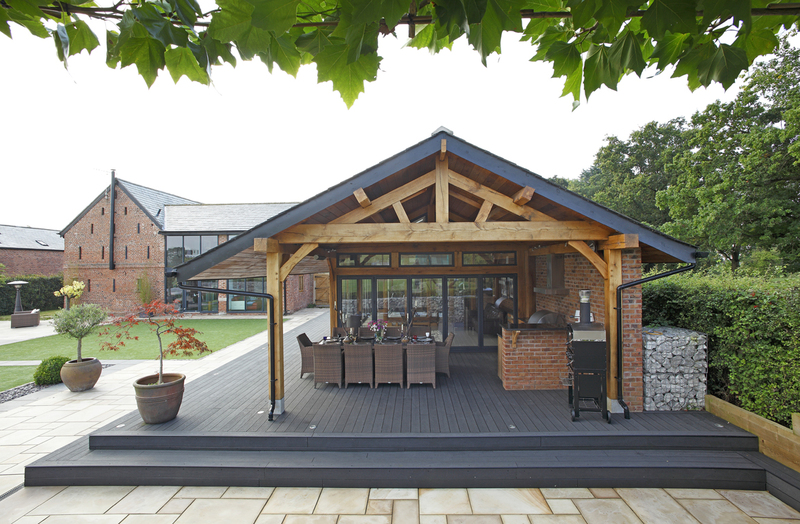 The client had seen images of outdoor kitchens and wanted us to explore this as well. Our designed centred around a traditional pegged Oak frame with slated roof, both to reflect the style of the main house, a converted barn. 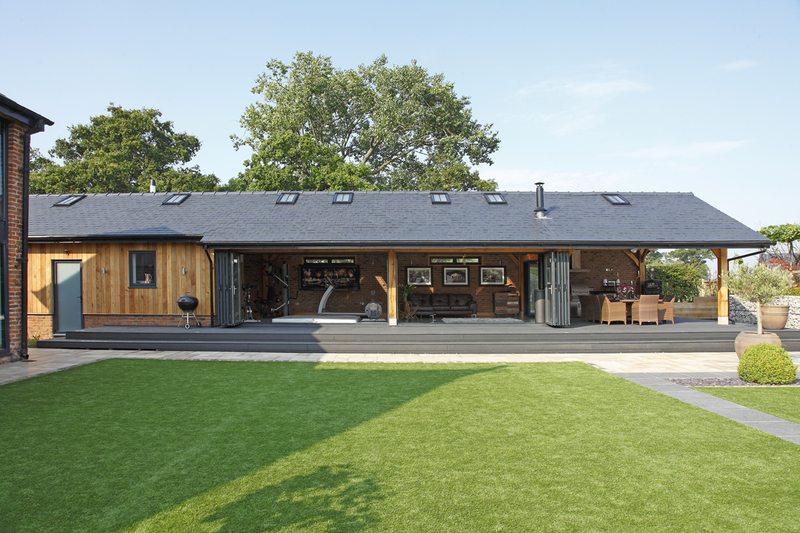 Vertical cedar cladding was used externally and within the outdoor kitchen to create a contemporary but natural finish. 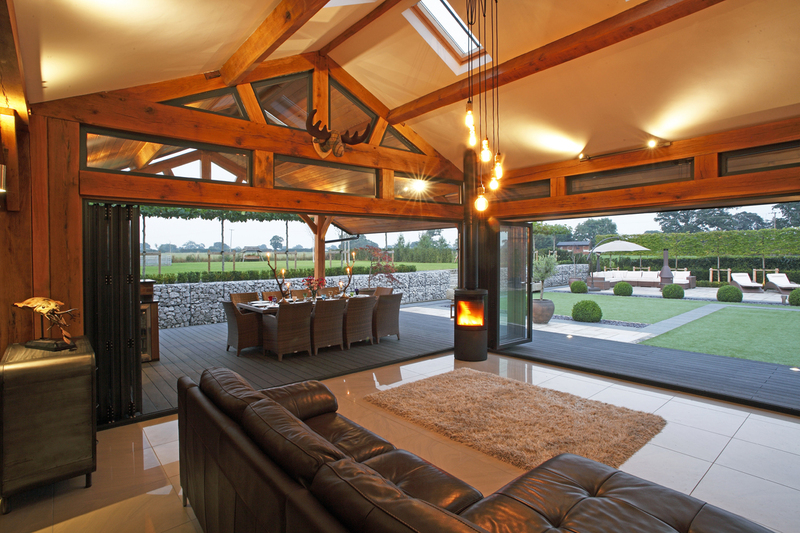 We designed wrap-around bi-fold doors to allow the entire building to be opened up to the garden for entertaining. 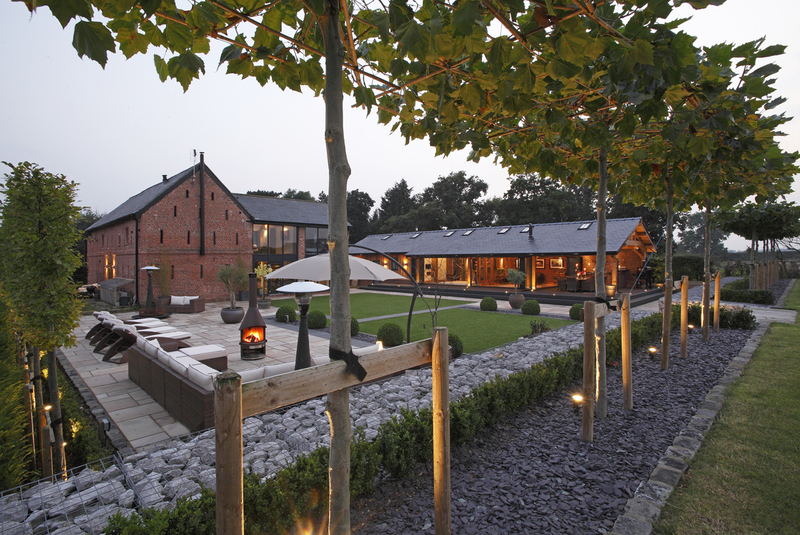 Wood burners, face-brickwork detail, large format porcelain floor tiles, oak and glass partitions, and careful attention to lighting all help to make the building a real success. Our landscape architect designed a garden scheme that was low-maintenance and allowed the leisure building to be used to its full potential. Extensive use of limestone, sandstone and granite create a slick, contemporary feel that also sits well in the larger rural setting. 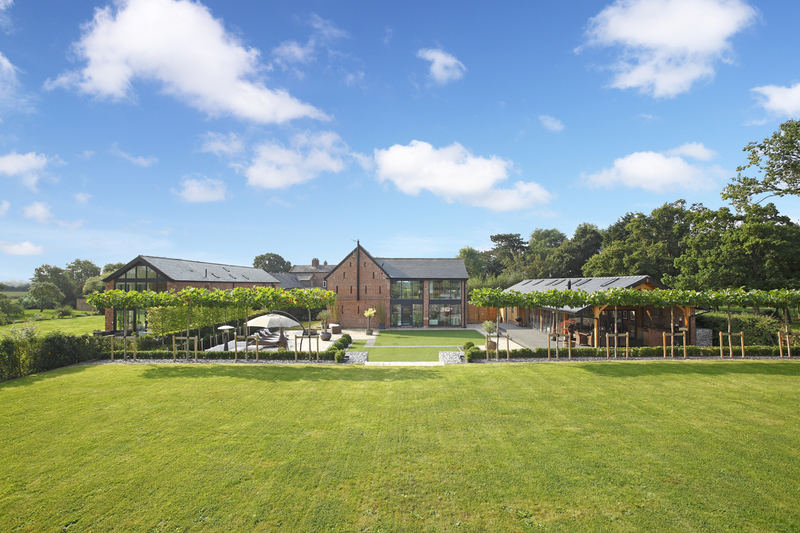 The client gave us free-reign to design an amazing leisure building and formal garden area that also preserves the character and rural setting of the site. The client's brief was met and exceeded....they can now hold garden parties in style! 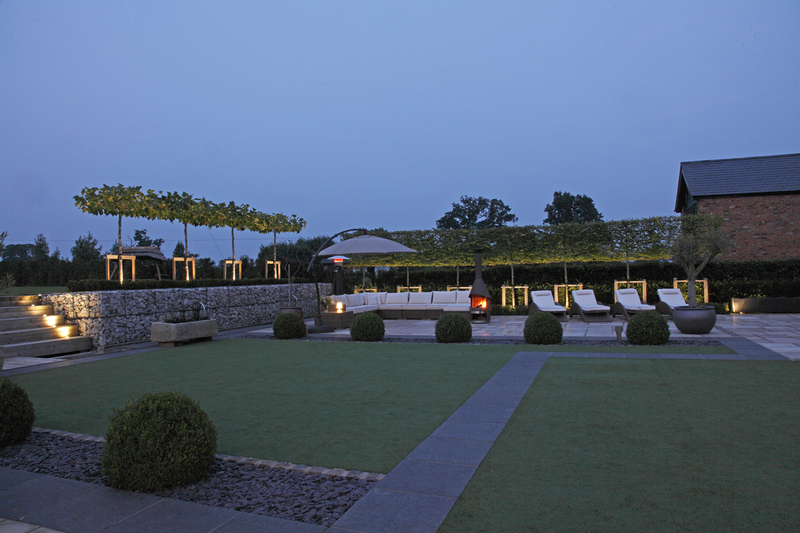 Extensive landscaping included limestone-filled gabion cages to separate garden levels. Sandstone and granite patio paving was laid with artificial grass, the latter for ease of maintenance and 'mud-free' play.